I was photographing a quilt this weekend and thinking through all of the photos to take of a quilt. I thought I would share my quilt shot list here since others might find it helpful and want to know how to take photos of quilts. 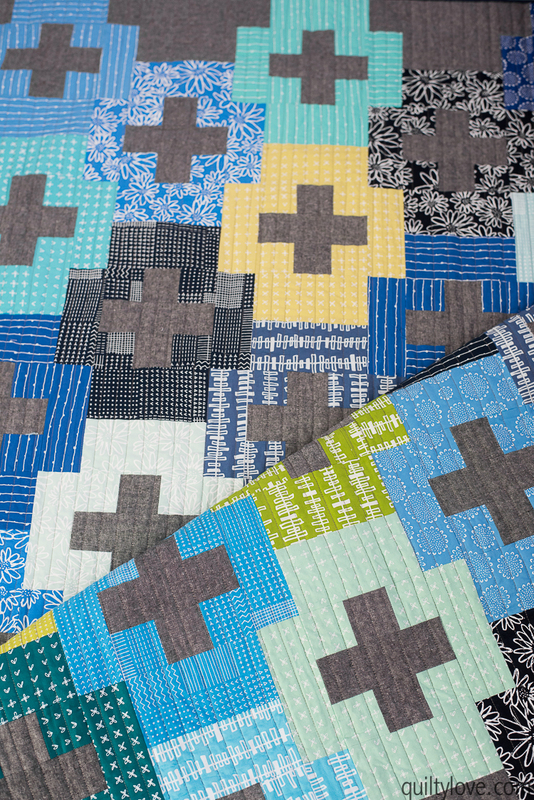 *Want to see more photos of these quilts? Just click on the image for the blog post. 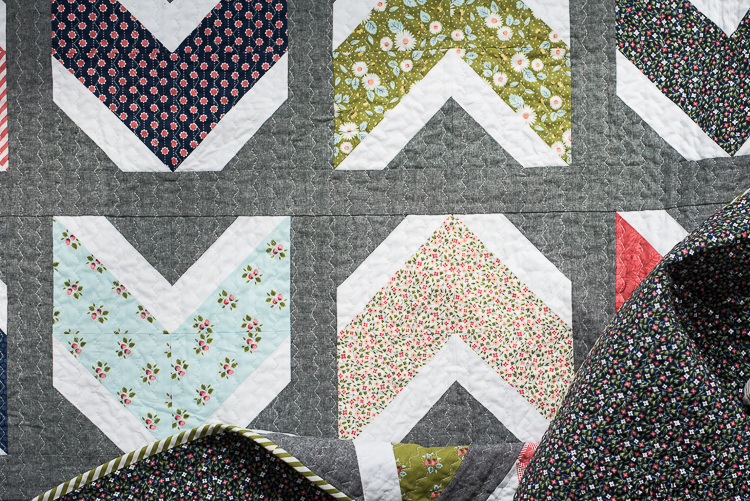 Why should you photograph your quilts? 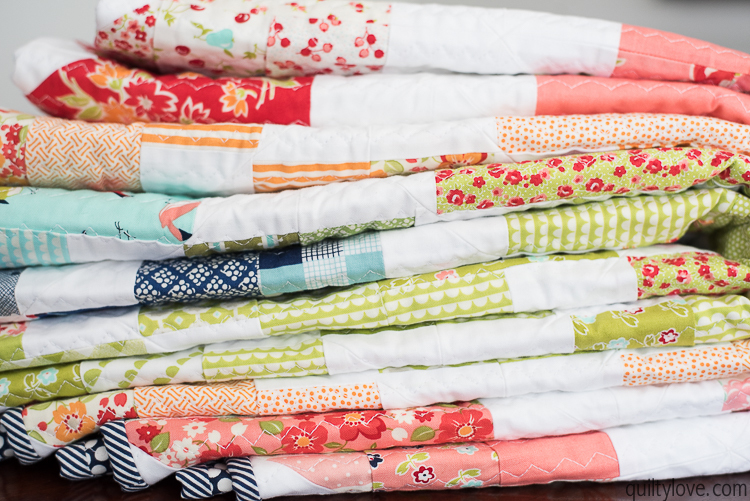 The reason I like to have a shot list is because I give away a lot of my quilts. Once they are gone I obviously can’t photograph them anymore so this ensures I have every picture I need. 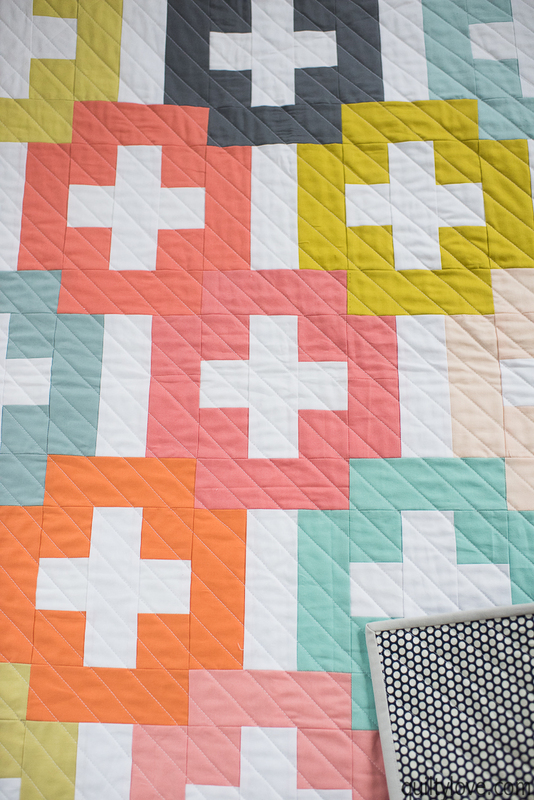 I photograph every single quilt because I blog every single quilt. 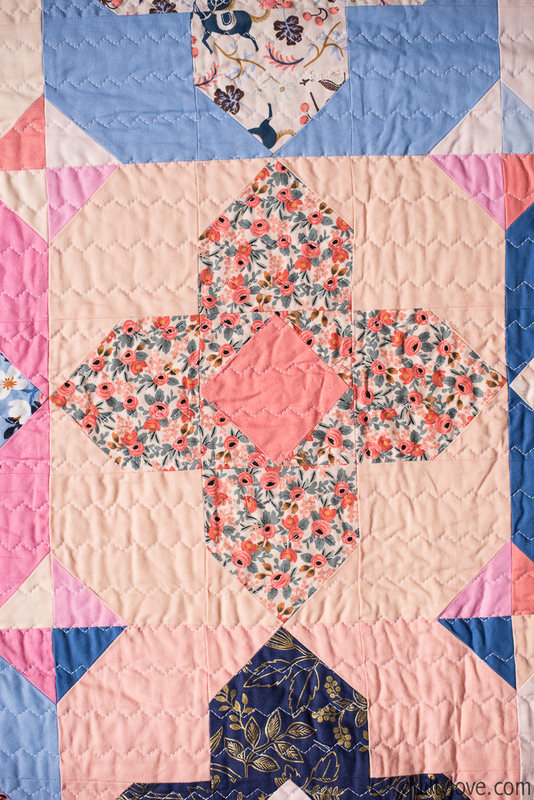 This blog started as an online journal of the quilts I’ve made. 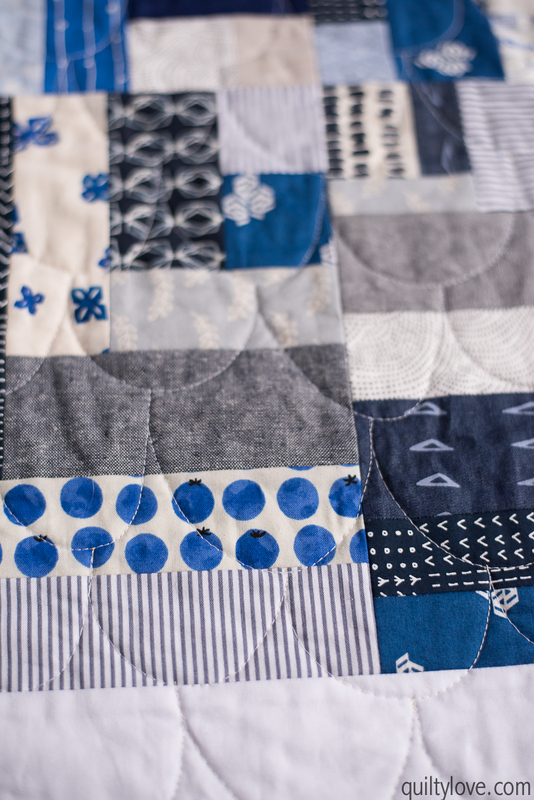 It’s since evolved into a little more than that but I still photograph and blog every single quilt. (Some just take longer to get up on the blog than others) They are all listed here. My husband’s grandma was a life long quilter. 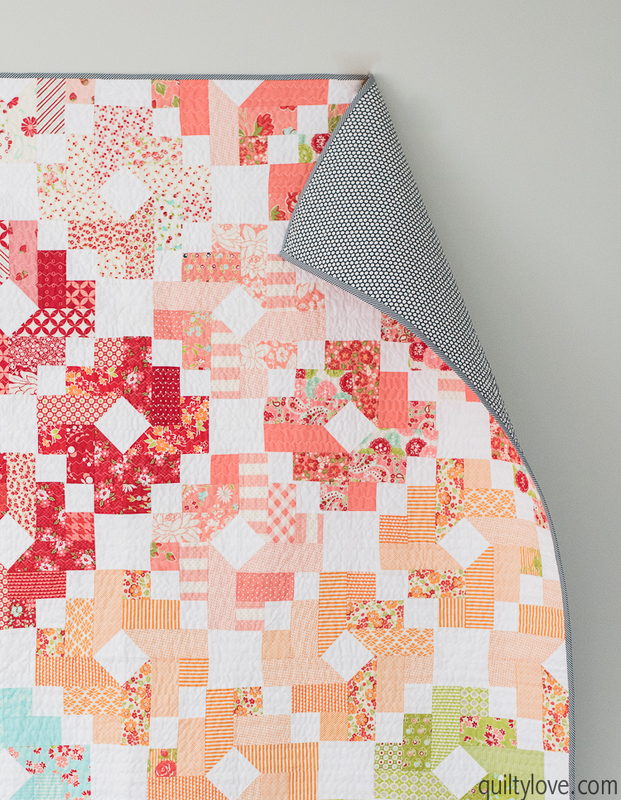 She photographed every quilt she made and wrote up a journal entry on a piece of paper. I guess I essentially do the same thing just in digital form. 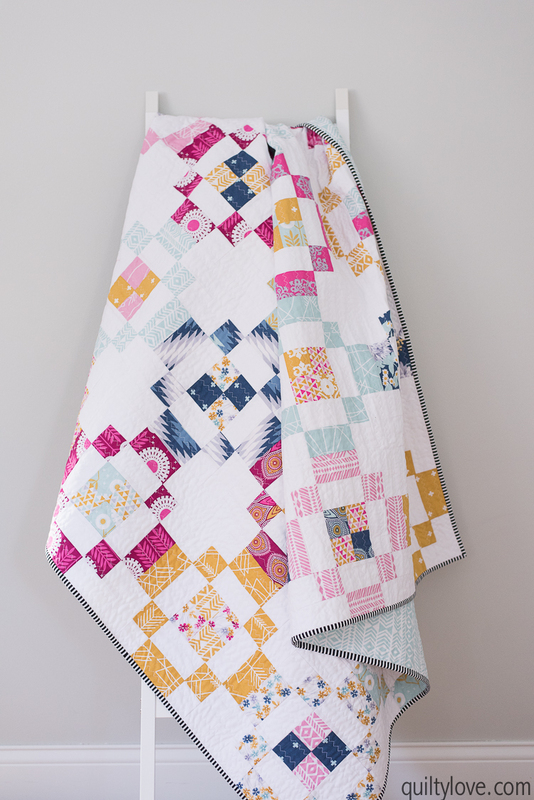 If I didn’t have this online journal documenting my quilts I would probably make up photo books from blurb of the quilts I’ve made every year. Actually, I still kind of want to do that. This full shot of the quilt is the hardest photo for me to take but the most important one in my opinion. 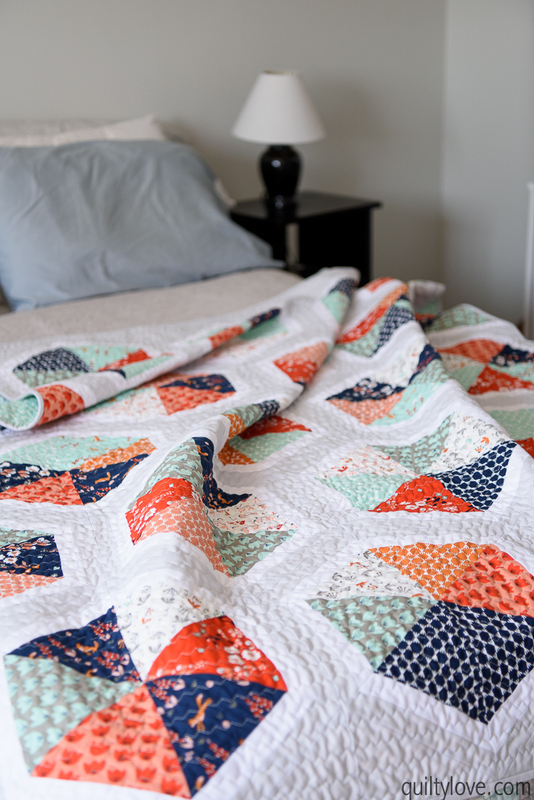 I try to take this full quilt photo of every quilt I make. You can take this photo indoors on a blank wall or somewhere outside. The reason this one is the hardest for me to take is because I lack the blank walls inside my house right now. My style preference is a white or a very light colored wall and I just don’t have that in my current place. Below is the pull back photo from above. I’m currently in a temporary place so I’ve been using a fake brick backdrop and taping the quilt to the backdrop. We also lack the sun for the entire winter so I’ve brought out my studio lights for a little extra help. 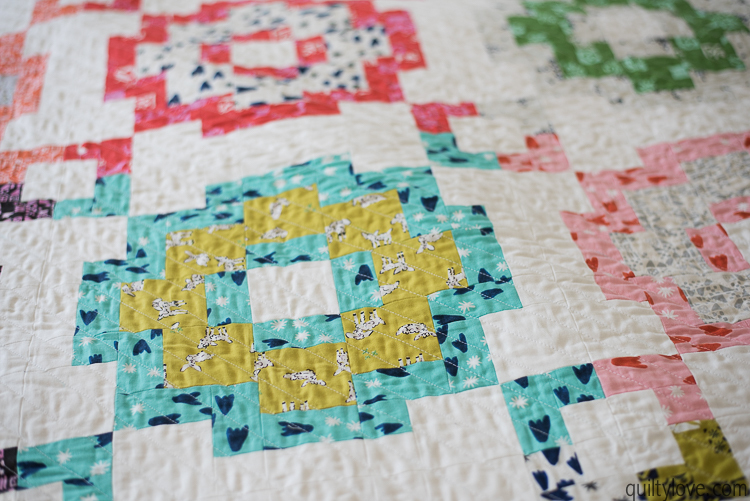 My preference for all quilt photos is definitely natural light though! In this case I’ve just slapped the tape on the front of the quilt and photo-shopped it out. If I can, I’ll add rolled tape to the back instead so I don’t need to Photoshop. Fake it: Use a backdrop if you lack the nice blank walls. This backdrop is taped in front of a row of closets. Use a light blank wall: My last house had a blank wall juuuussst big enough to photograph quilts on. I had to move my couch and wait for a sunny day to do it but it was worth it. Most of my full shot quilts were taken like this below when we lived in this house. The final image gets cropped so only the quilt is showing. Find a cool wall around your town: This wall was right outside my door. It was the perfect size to hang a quilt from. I would just tape it right to the wall. I gave up caring what my neighbors thought.. ha. 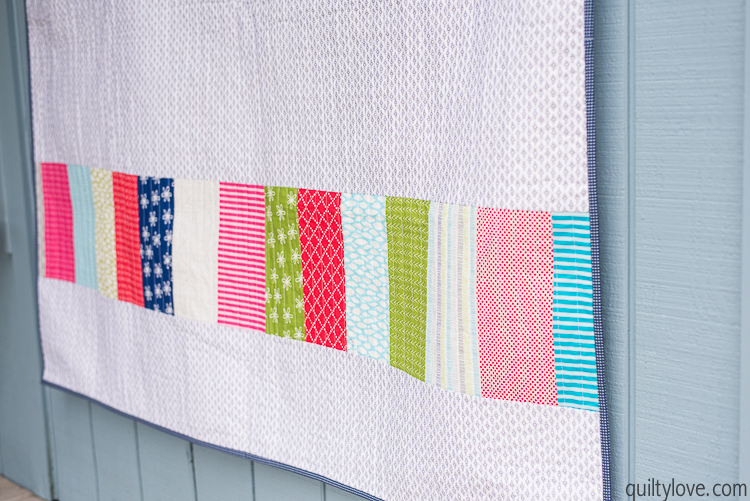 Find a quilt holder: Sometimes you just need a quick photo or you might find a pretty background you want to use. In this case, hire a kid or husband to just hold the quilt up. Grab a chair if you need it and try to hide the hands ;) My quilt holder lasted about 10 seconds but I got the shot below minutes before I gave this quilt away as a gift. A fill the frame shot is one of my favorite shots. In this picture my goal is to provide a good idea of what the quilt looks like while filling the entire frame with it. Add some interest by flipping up the corner or crunching up the bottom. I take this picture standing at the bottom of the quilt and tilting my camera just a bit to get as much of the quilt in the frame as I can. 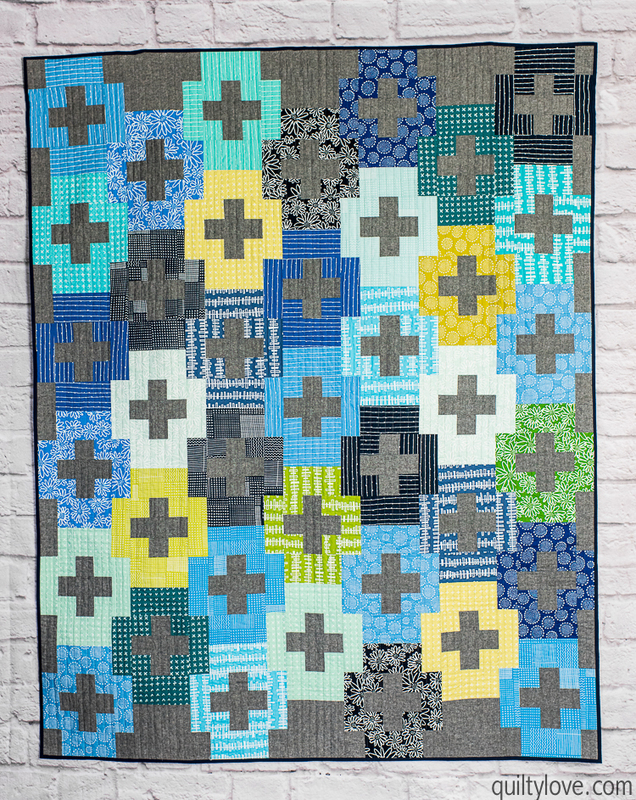 The up close shot might be a photo of a block or just a tighter framed shot of the quilt. 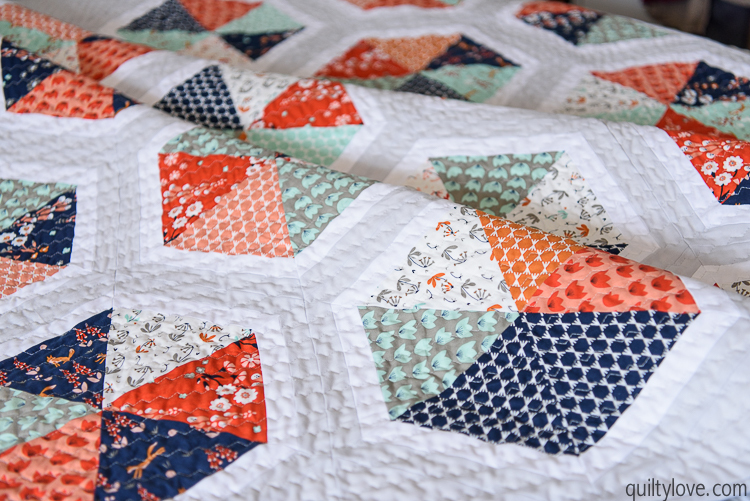 You start to see the quilt texture, the fabric designs and even the quilting in this close up shot. I try to make it a point to get a horizontal picture or two. I always forget this photo since I’m mostly a vertical shooter. Probably from my portrait work. If you tend to shoot majority of your photos horizontal, make it a point to turn the camera for a few frames. I like to have a horizontal photo though for stitching images together for Pinterest. There are times that a horizontal is needed for different marketing purposes. For example if I want to add words to a quilt photo, that usually looks best on a horizontal image. It’s nice to have options if I need one of these quilt photos down the road. This quilt photo is my favorite one to take. It’s the quilt photo I most commonly take and the easiest for me to photograph. I love this shot. I’m not sure exactly why that is. You can show quite a bit of detail in this one picture. 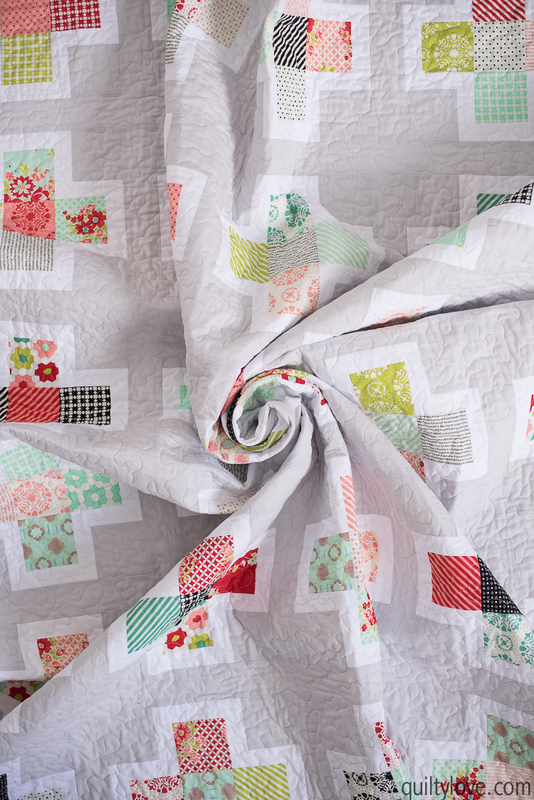 Maybe the way the quilt lays folded like this softens the photo and shows it’s cuddly fabric. Really, I don’t know! But it’s one of my favorites and one I always always take. Fill the entire frame with the quilt in this photo. I tend to like it best when it’s shot almost directly overhead. Stand on a chair if you need to get a little higher. I turn on the screen on the back of my camera when photographing these images so I can see what I’m getting as I hold my camera out overhead. 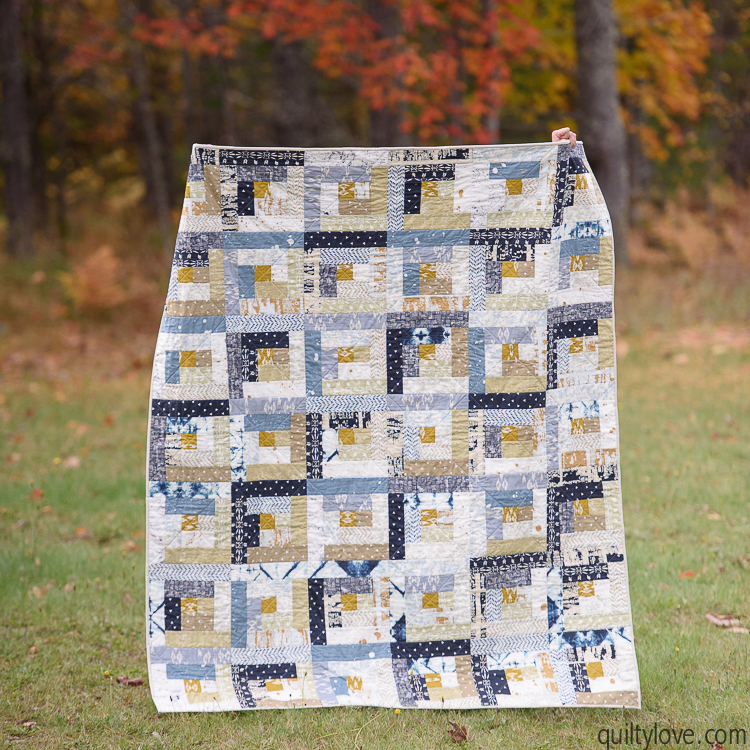 Quilt ladder photos are another favorite of mine. 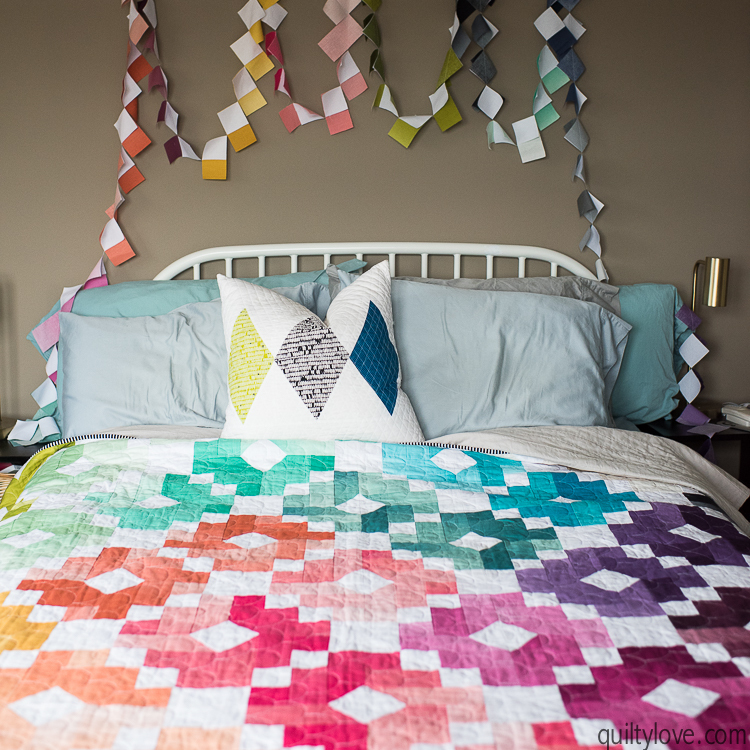 They are a good way to show off the quilt as a whole. 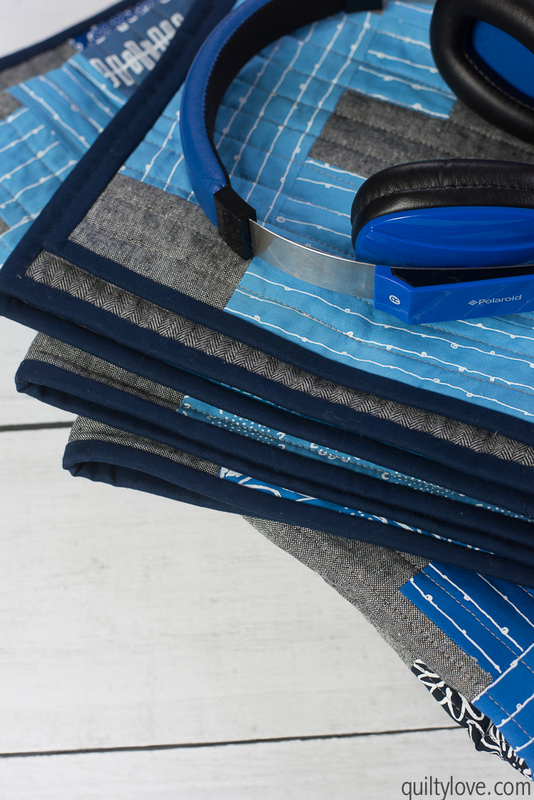 Plus they give you a few more options for styling your quilt. 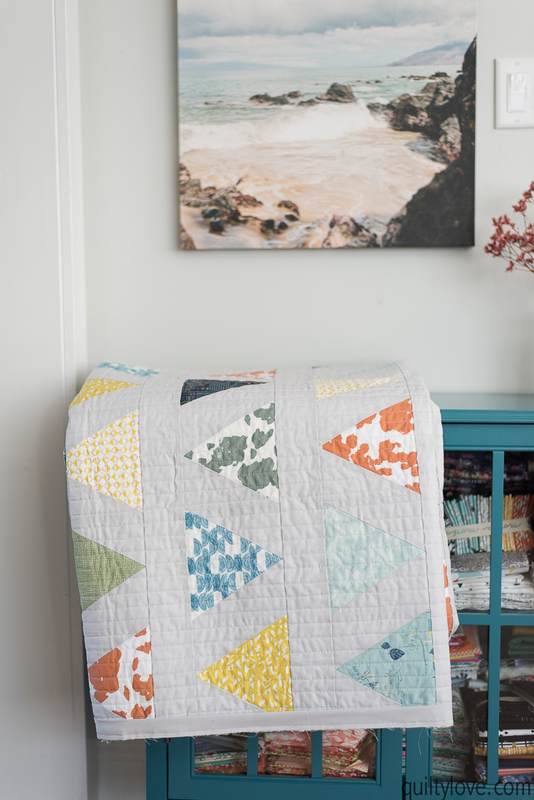 I always love quilts on chairs or sofas too. Or try using a cabinet or other piece of furniture. 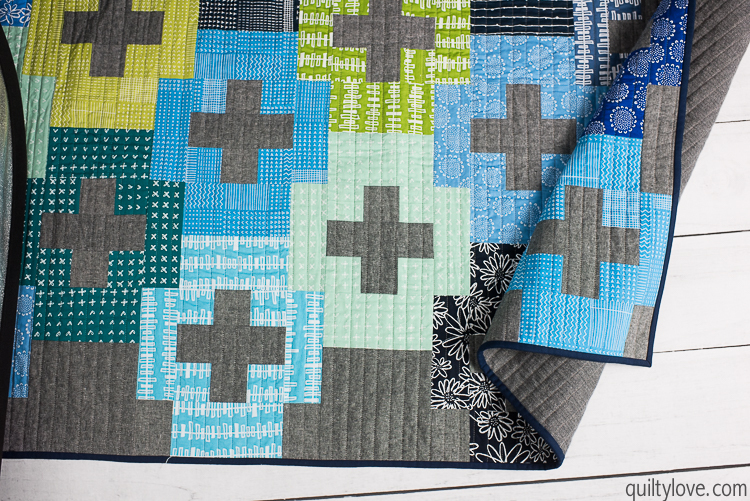 One of the quilt shots I try to always take is of the quilting design. 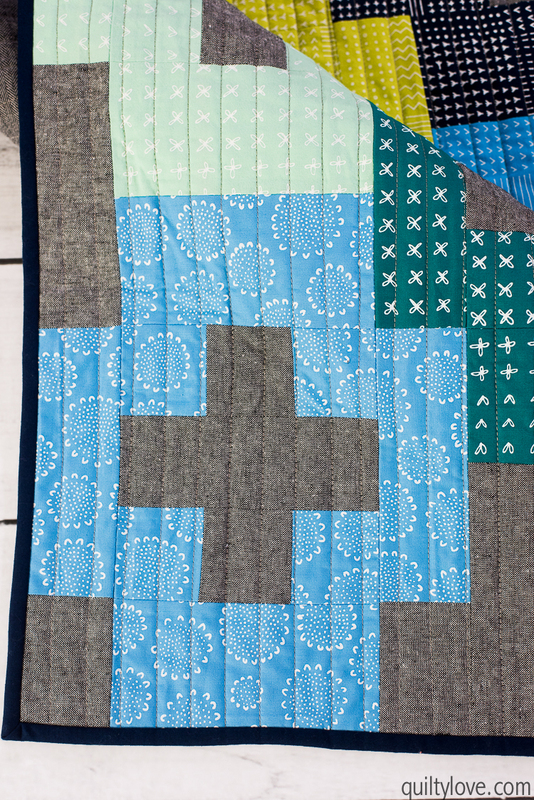 I like to take a close up photo that shows the quilting really well. Usually this will be in one of the solid areas of the quilt or where the thread is contrasting like below. I always take a photo of the backing. Sometimes its more subtle like the photo below but somewhere in my photos I want to show the quilt backing. I don’t usually piece my backings and instead they are all the same fabric so I just need a small corner. If I do piece a backing I like to show the whole thing. A picture of the quilt binding is another photo I intentionally take. Sometimes it’s a close up of the binding and other times it’s a bit more subtle. These are the fun quilt photos to take! They can be challenging though too if you don’t have a magazine style home ;) I do a lot of creative in camera cropping to get these photos. My go to lifestyle photo is draping a quilt on a bed. Usually I’m draping a throw size and photographing it in a way that makes it appear to fit the bed. I like playing around with these photos and styling the quilt in different ways. 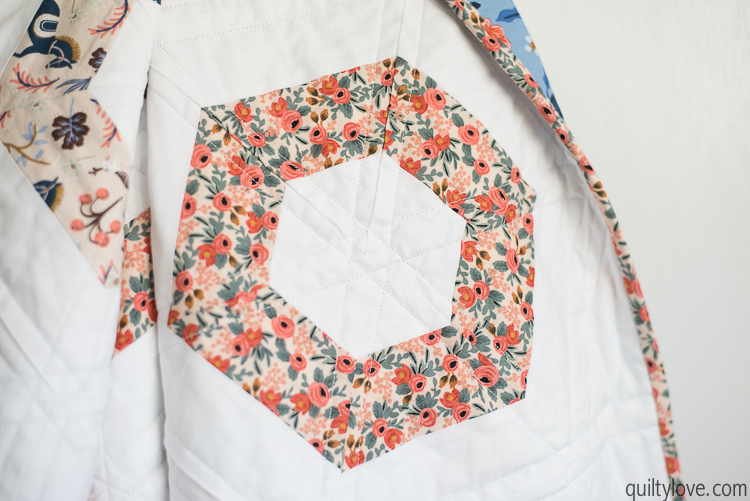 My biggest inspiration for these photos came from Love Patchwork and Quilting Magazine. 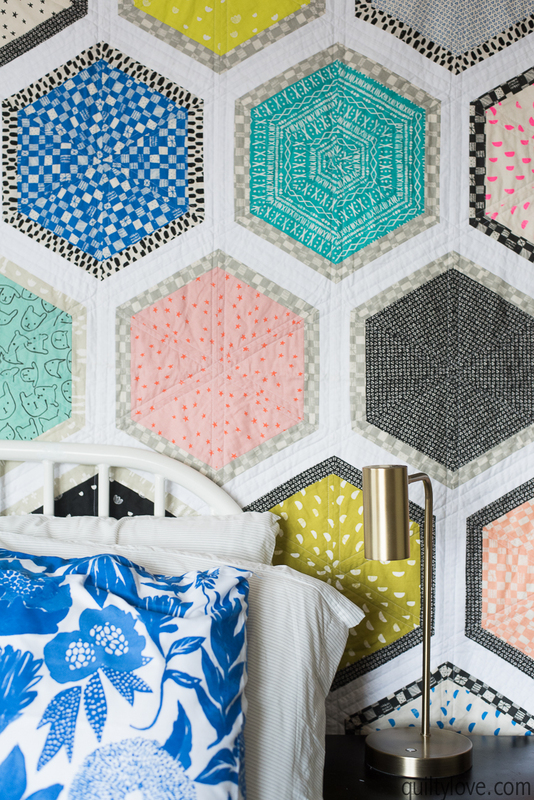 Their quilt styling is so on point. Lately I’ve taken to taping quilts to walls above the bed. 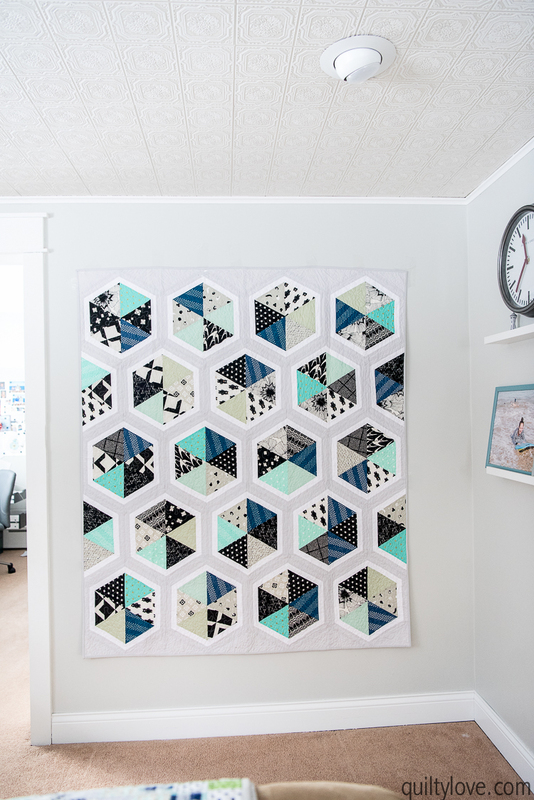 A lot of quilters hang their quilts on their walls so I’ve used that as another way to photograph and show off the quilt. 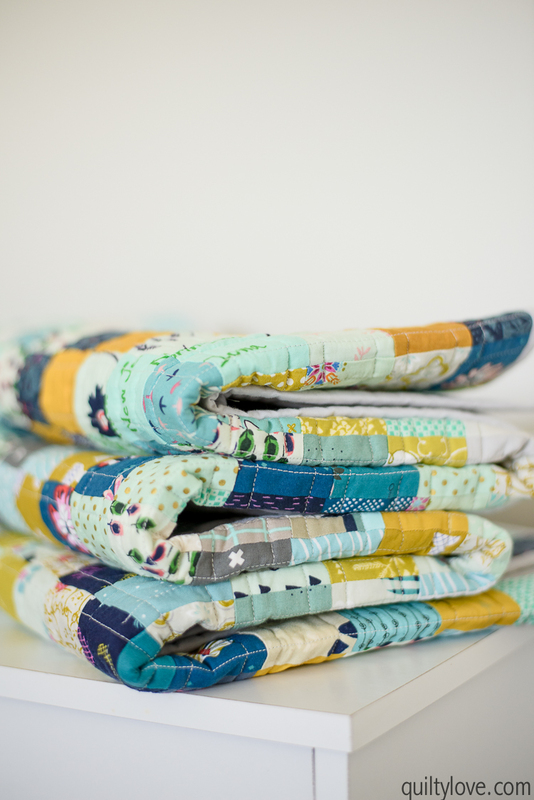 Photos of quilts stacked up are just plain pretty! I like to play around with this and stack up the quilt so you can see all of the pretty colors. 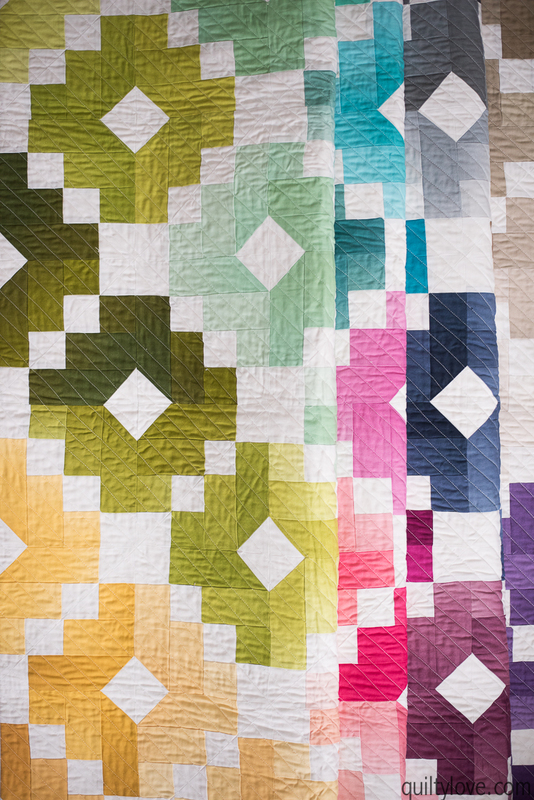 Another way to photograph a quilts is swirling it up. I love how the fabrics all mesh together into one pretty bunch. 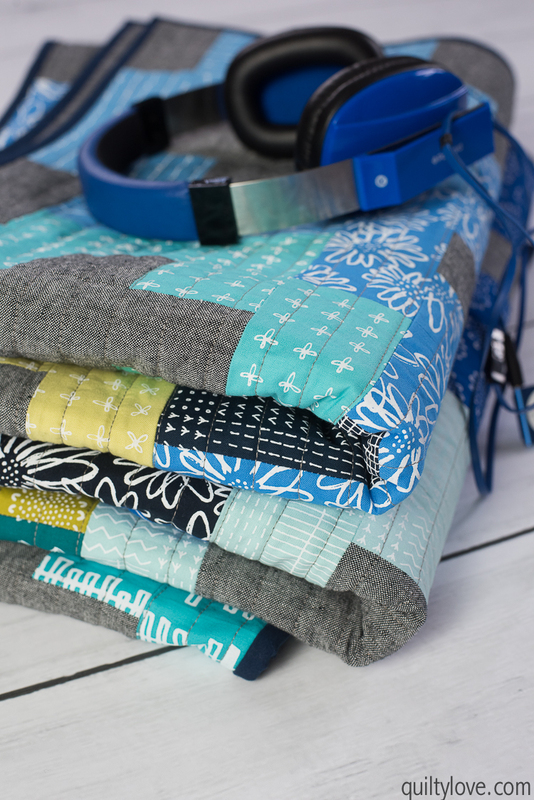 Experiment with stacking or folding the quilt in different ways. 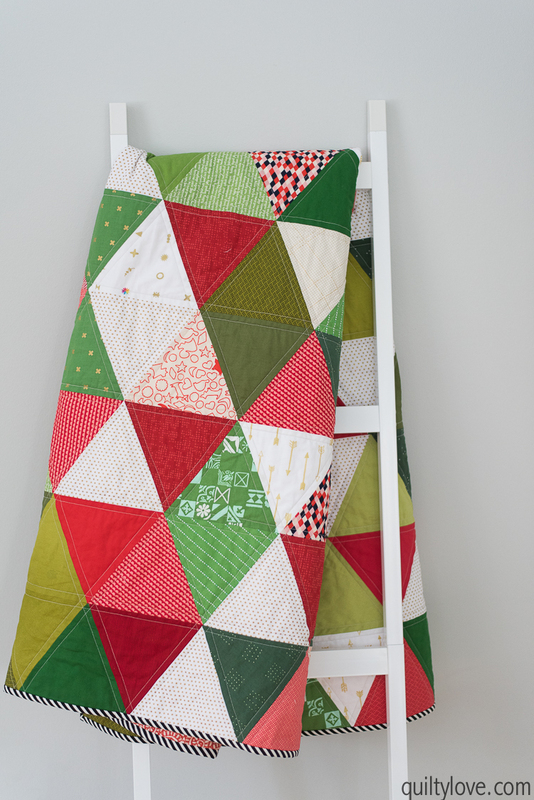 Hopefully these images will give you more ideas when it comes to photographing your quilts! Making it a habit to take certain photos ensures they are well documented even after you give them away. 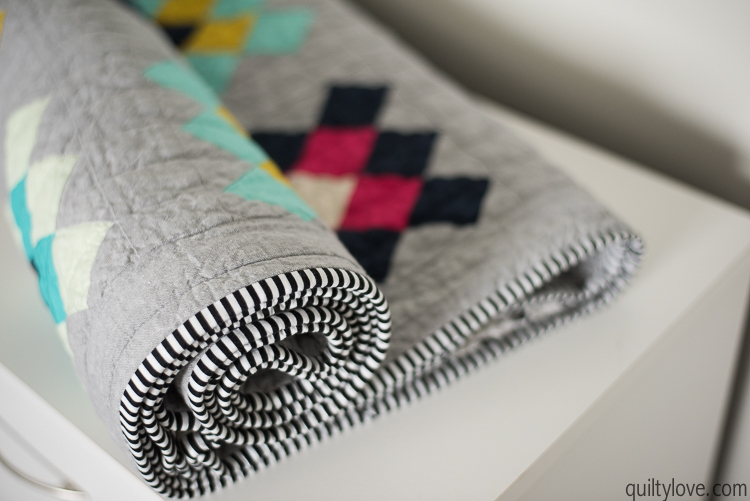 Majority of my quilt photos are taken with my Nikon D810 and a 50mm lens or my new favorite, the 35mm lens. I prefer all natural light but bring out my studio lights when that’s not possible. I’ll use a reflector sometimes for the closer up shots also. Or even just a white foam board like this. A Canon rebel is good place to start. 50mm lens to go with that Canon – If you own a DSLR already and want to improve your photos… get a 50mm lens!! Seriously! These lenses give you the most bang for your buck and make a huge difference in your indoor photos. The one linked will work with most basic Canon DSLR’s. Not all lenses work on all cameras. Make sure you get the right one! Canon 6D is an entry level full frame. This camera will last you for years and is one you won’t outgrow unless you start photographing professionally. But even then, it will get the job done. Here’s the 50mm lens for it. And this Sigma 35mm art lens has amazing reviews. Thanks for this great post. I always have a hard time deciding what to take. One of my goals for 2018 is to take better photos of my quilts. Like your start, I am just blogging to keep a journal of my quilts, since most of them are gifted. So glad it was helpful! A blog is a good motivator to get those photos taken. Thanks so much for all the tips! Hopefully this will help me improve my quilt shots. This is such a helpful, gorgeous post! 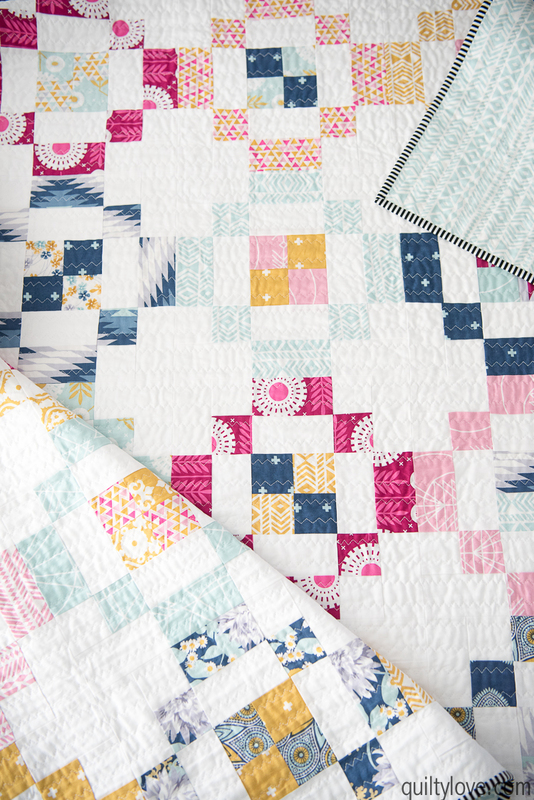 Every quilt here is drool-worthy and looks great in photos! (Some of mine are camera-shy and not photogenic!) Thanks so much for the tips and ideas! 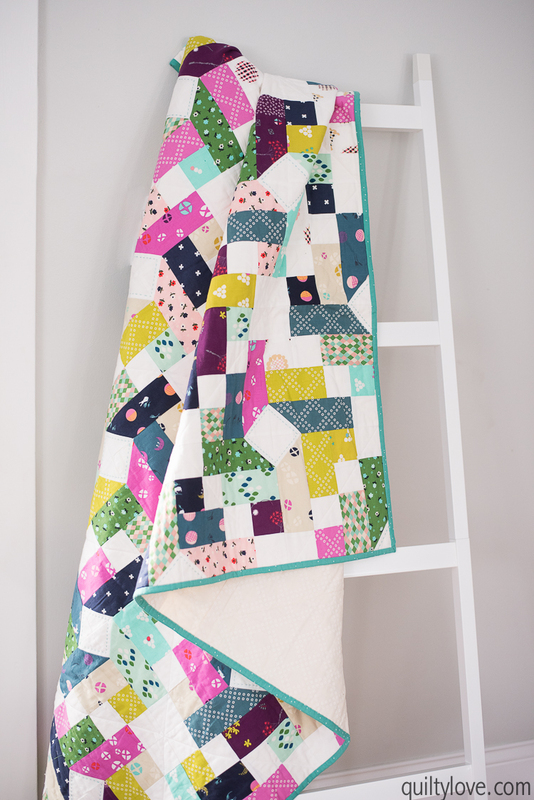 This is really wonderful – I DO photograph all my quilts but you’ve given me some good ideas to get even more creative. Thanks! Excellent post! I really need to make the time to do this. I haven’t photographed any if my quilts with my professional camera gear. 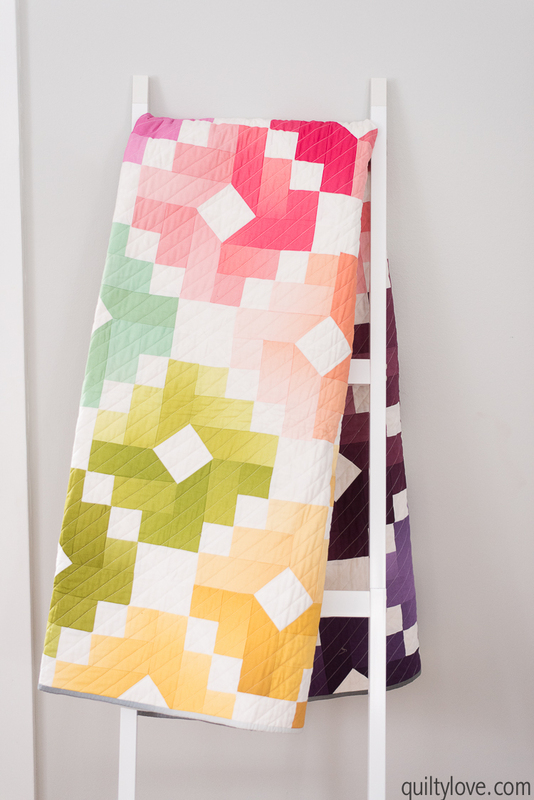 I am a wedding/portrait photographer and it strikes me funny that I don’t “shoot” the quilt I make. Often I use the excuse my home doesn’t have the space or setting for the clean look I want. Or, maybe it’s because photograohy is my day job…. face it, none of these are a good excuse!!! Thanks for the inspiration and kick in the behind to capture the other creative side of me in print. I hear you! I was so lazy about this for a while because photography is my day job. 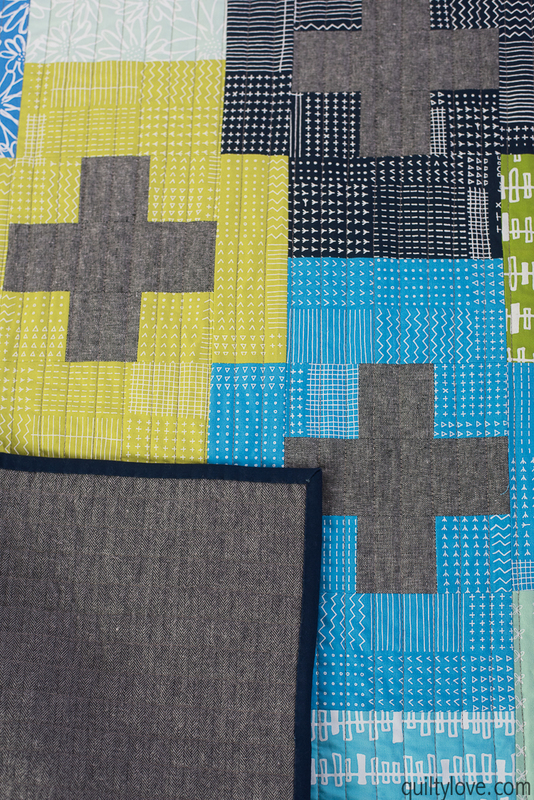 Just now feeling more energized in photographing quilts. I think our enthusiasm ebbs and flows when it’s our profession. This is a great post. My home is small and surrounded by trees, and the walls are all colored, so indoor photos are a challenge (especially during the winter). This gives me some great ideas for improving my photos! What great suggestions! Love this post! Thank you so much for this well written, helpful post. I’m excited to try your ideas! Great post and beautiful examples. Thanks so much for sharing your skills! O so perfect Emily! Thank you for the great post! Love it. Am going to make sure I take these photos when I finish a quilt! Fantastic post! I will pin this to refer to! The only thing I would add is the ‘in-progress’ shot. 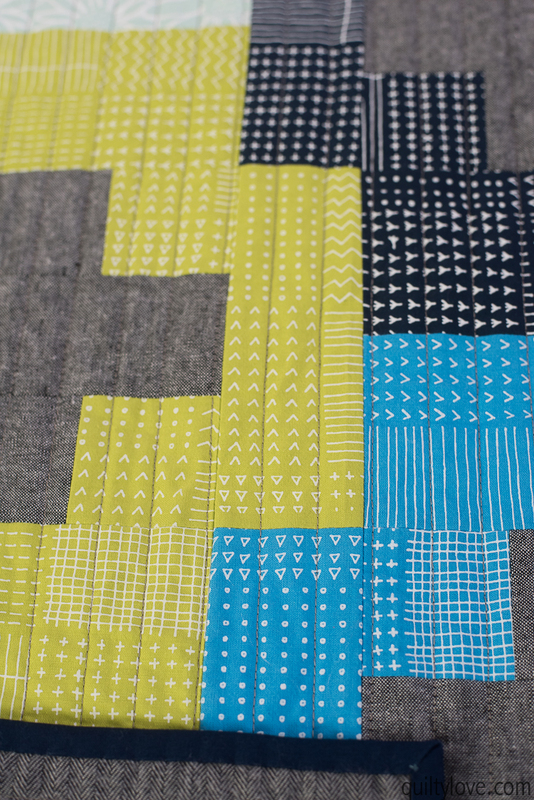 I love seeing photos of quilts in progress. And thanks for the info on cameras. I’ve been wanting to know what kind of lens I should be using for sewing photography and you have answered my unspoken question! 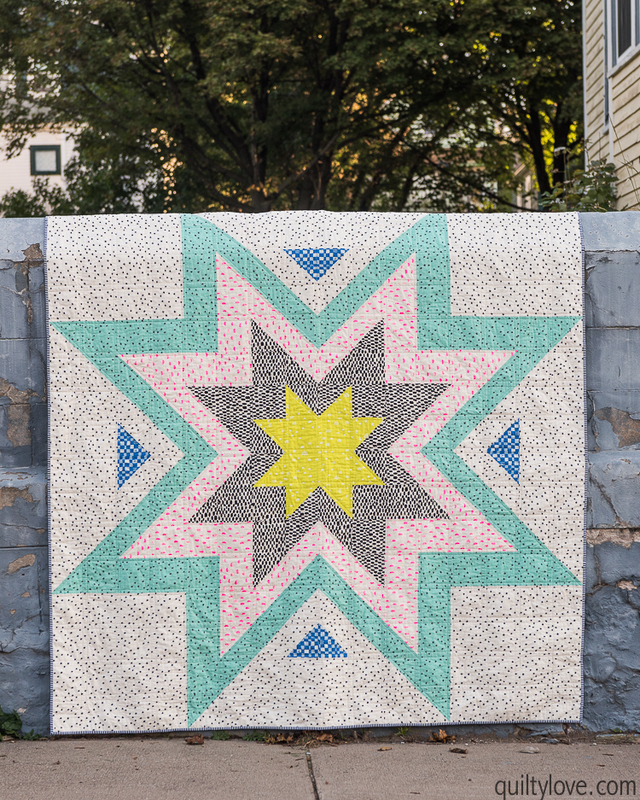 This is such a great post and you have really inspired me to write about and photograph each quilt. Thank you! This is a terrific post! 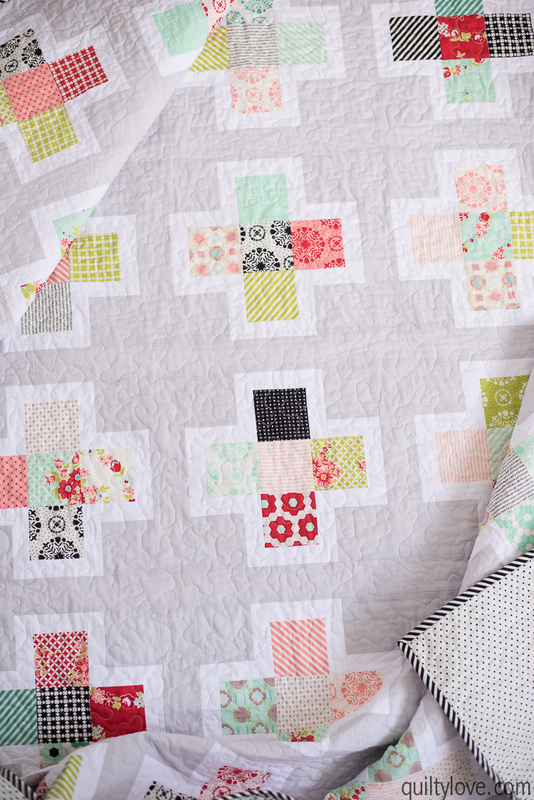 Thank you for sharing 10 ways to display the beauty of a quilt. I’m taking notes on a couple of new ‘poses’, and bookmarking for future reference. Thanks for the photo tips, I have a Fuji camera with a built in extra zoom lens 35/50 I really need to start playing with it more so I can start taking better pictures of my quilts. I actually bought it so I could take it on the road while we weee riding but it won’t fit in some of our saddlebags, but we just got a nice new bigger bag on the back of the bike so I can start carrying it again everywhere we go! 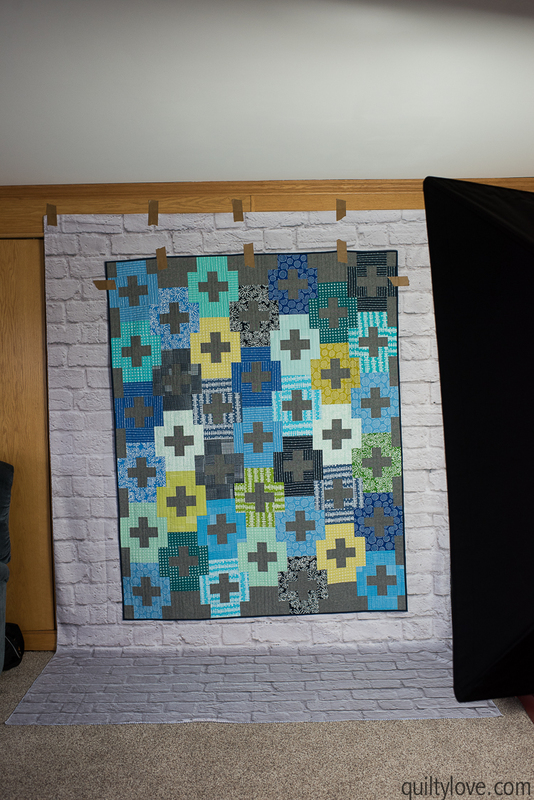 Now if I can only get my quilt tops finished… so I can take pretty pictures of them! Thank you so much for posting this. 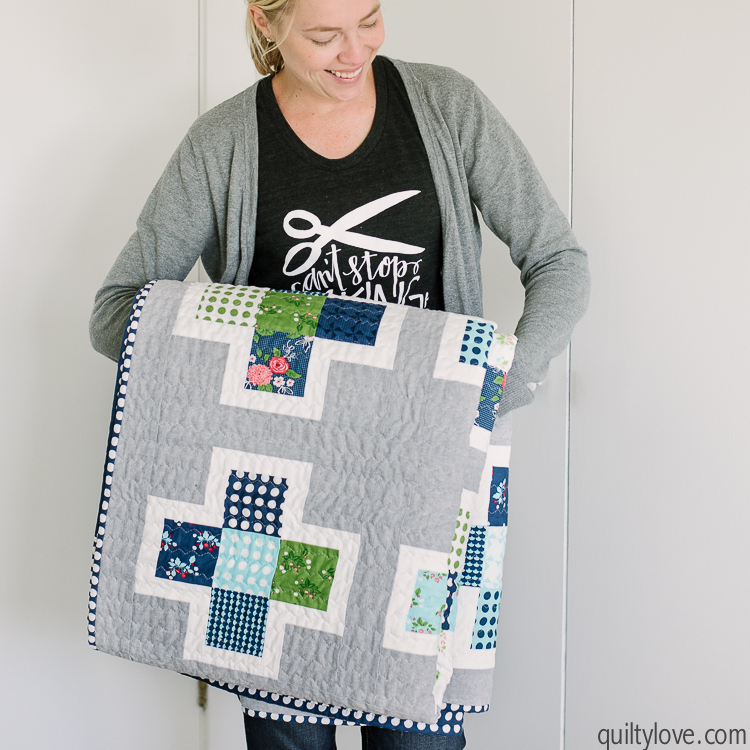 I struggle so much with quilt pictures and this post is full of useful tips and ideas. Good info. and GREAT photos! Thank you for the inspiration! I’ve bookmarked this post as I’m sure I’ll be returning to it again and again. Wow this is thorough! I’ll never be left wondering what shots to take of my quilts again. Thanks so much!!! Great informative post, thank you. Thanks for sharing all your ideas with us! 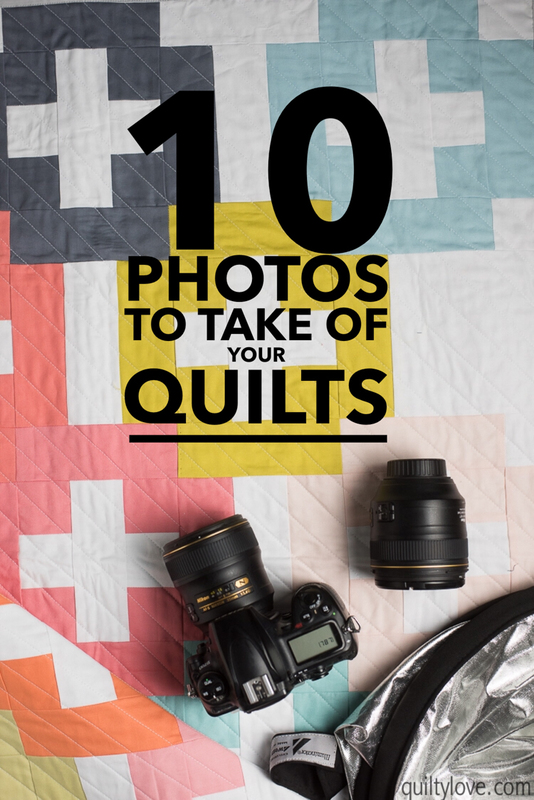 I try to get variety in my quilt photos but this list will be invaluable! 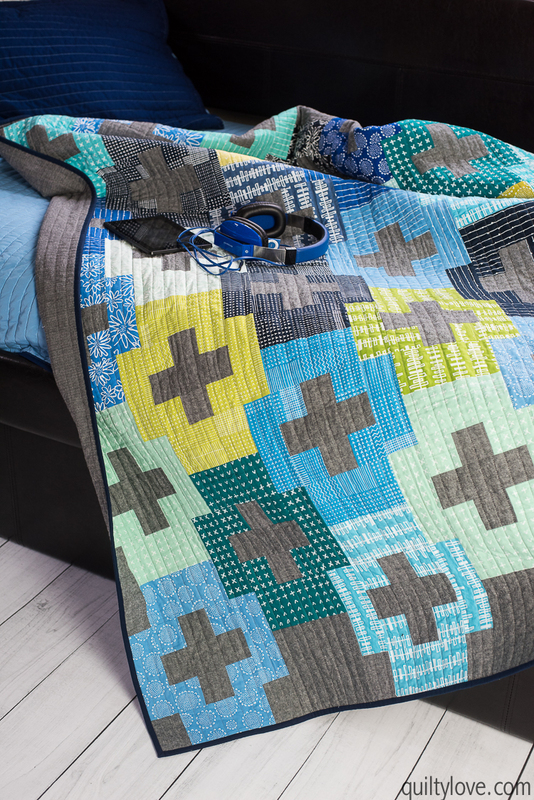 And of course, all your beautiful quilts are worthy of lots and lots of photos! Very good tips, thank you! I’m interested in your studio lights (the link didn’t show it). Have you got led lights? I have been looking for lights but I don’t know what is good and natural. Such a great post. This is one area I’m lacking on in my blogging and quilting. I’ve definitely given away quilts I wasn’t finished photographing. This is on my 2018 to do blog list. THANK YOU so much for this post! I never know what photos to take, I only do half of these right now. I copied your list and put it in a note on my phone so it’s always with me!!! Great post – thanks so much! I’ve got some recent finishes and will line up a quilty photo session. This is so helpful, and such a lovely post to scroll through! I have given away most of the quilts I’ve made and have very little to show for them in the way of photos. :( This will definitely help me step up my game! Yes, that can be a problem! Giving before documenting :) Glad this helps! Thank you for this list and examples to go with each item. I take pictures of each of mine but seem to be stuck with the same four or five shots–full quilt, closeup, back, maybe folded to show binding, and maybe draped. Love having more ideas. I take most pictures outside, better lighting than in my house, but I love the ideas for in use shots too! 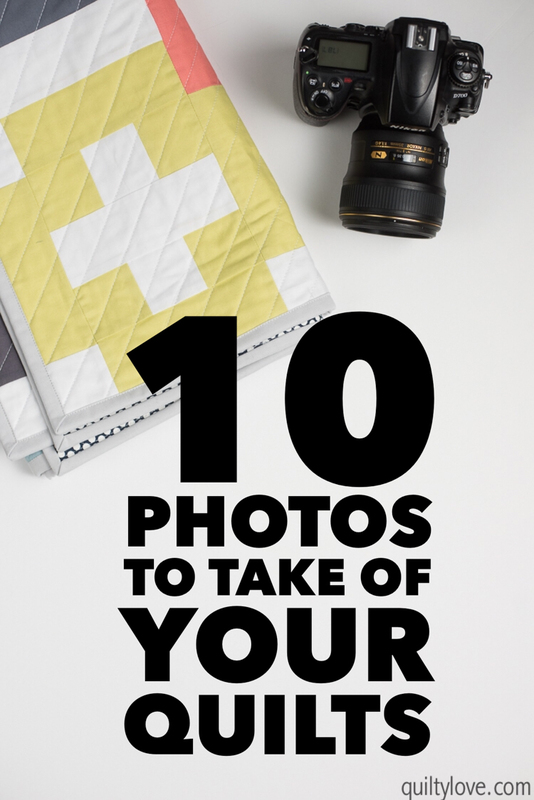 I list a few on Etsy and now I know what to do with those photo slots. Love this post. I too photograph my quilts all stages of them I love your photographs and we’ll put to practice a lot of your post I don’t blog but I keep a journal of every day that I work on the quilt . I will be saving this post for the future. 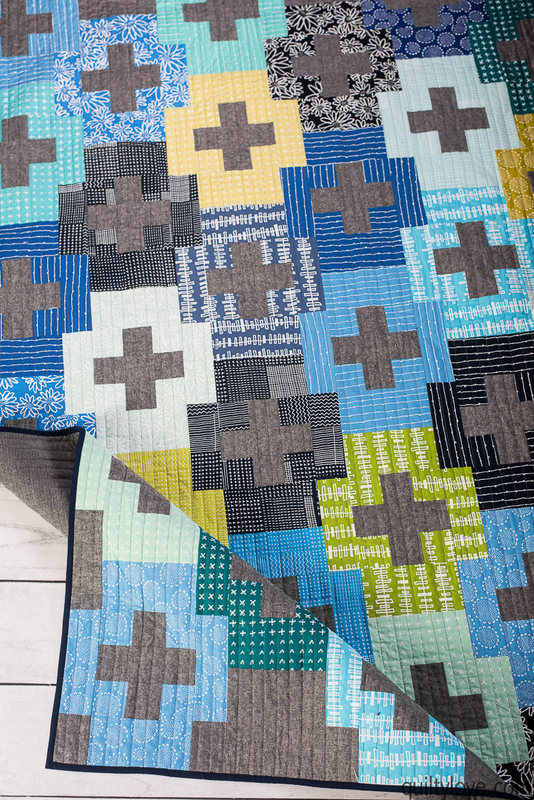 I enjoyed reading your post on photographing quilts. 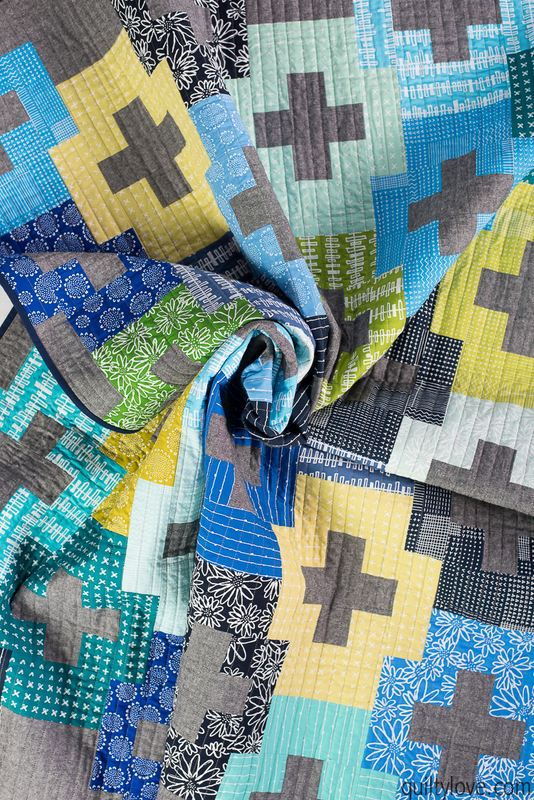 All but 1 of my quilts have been photographed on the bed with “not so great” lighting. One was photographed on the pool deck. I need to redo pictures using suggestions from your post. Best wishes in 2018! I am surprised you don’t take a photo including the quilt label especially since there seems to be a black market where quilt labels are removed and the stolen quilts sold. Great photos! 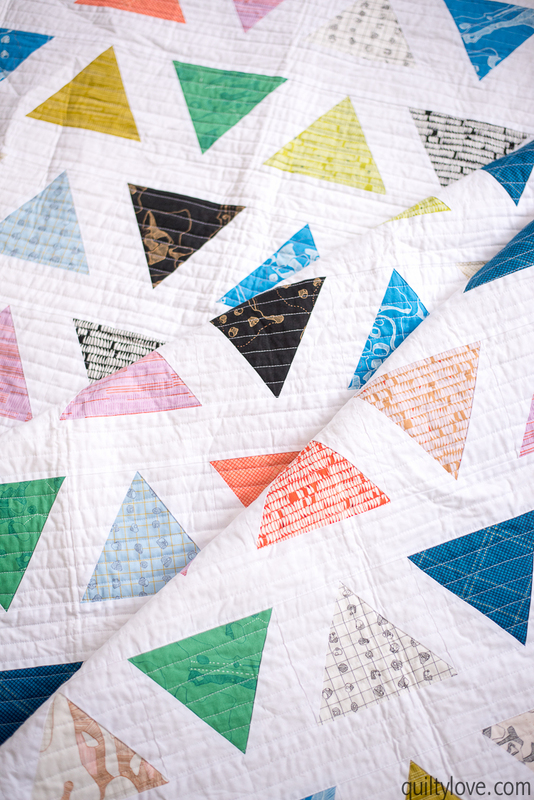 I to am a quilter and keep a journal of all the quilts. Mine is not digital. I just like seeing them in a regular photo album. One photo i didnt see you take was of the label. Most my quilts are gifts and i always write a little nessage to the reciever on my label. Then i remember who i gave it to. Keep the photo shoots going. What a tremendous help for me in photographing for my blog. You opened up my eyes and know I can do better. Thank you, thank you! Really great ideas! Thanks so much! Great post, I agree the photos are a very important part! I’m glad you always take photos and call out that it’s the best way to remember what you’ve created after giving it away. Fantastic list, and I appreciate all the example photos! I find that good light is my biggest roadblock for great photos. This was a terrific article!! thank you! I am going to be better at taking photos and document my quilts. Thank you! Great post to find after not being thrilled with my quilt photos! I found this because I’m handy with a camera and my friend asked me to take pictures of her quilt. 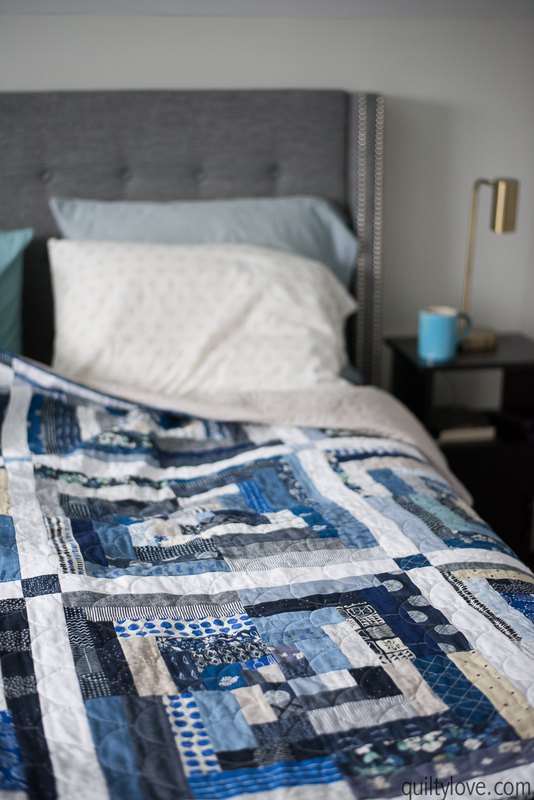 Your quilts are INCREDIBLE! Makes me want to learn how, myself…though I can’t even imagine the time and patience they must each take. THANK YOU for this! 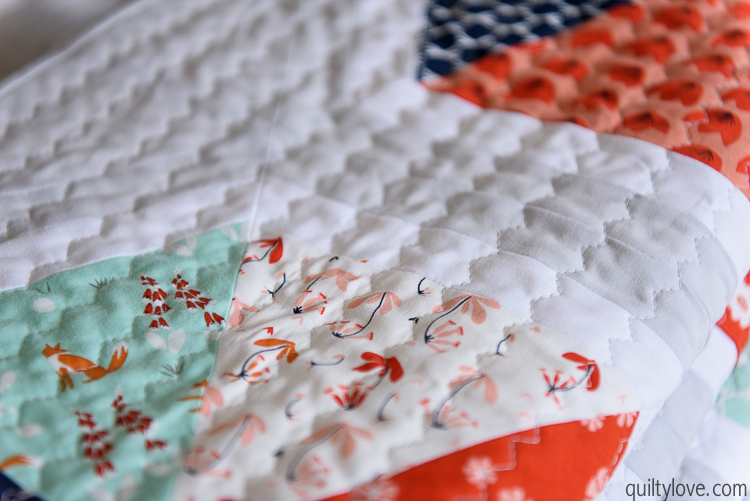 I’m constantly trying to tell folks how to take pictures of their quilts for their websites – now I have a link to share with them! Also to note – if you’re taking pictures for your website, taking it at the highest resolution possible is a must. For images to show well on all screen sizes (including retina displays), images need to be cropped to at least 3000 pixels wide – especially for images that will go edge to edge on the website. 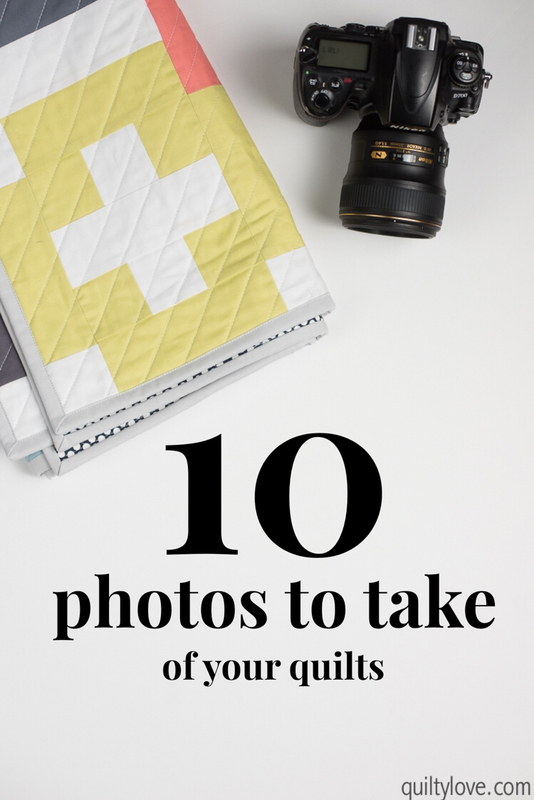 As a quilter myself, this takes the guesswork out of making sure you have all the shots you might want. I love this post! Any chance you can share where you got your brick wall backdrop? Thank you! !